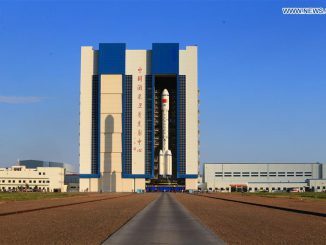 The Long March 7’s maiden flight will not only test the new rocket and a next-generation human-rated spacecraft. It will also mark the first use of a new island spaceport in the South China Sea. 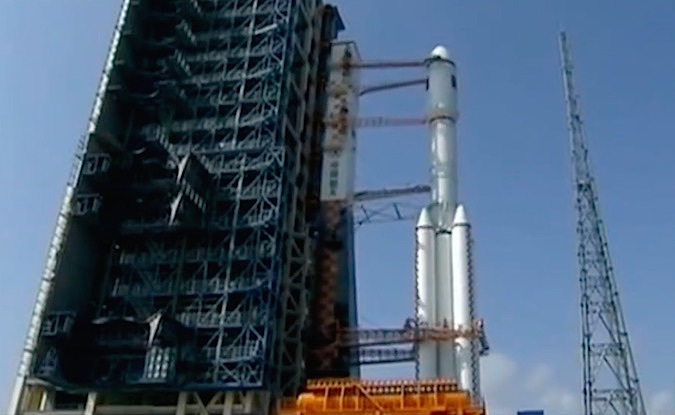 Rocket components slated for the Long March 7’s inaugural flight left port at Tianjin, China, on May 8, heading to the launch base on Hainan Island off China’s southern coast, the official state-run Xinhua news agency reported. 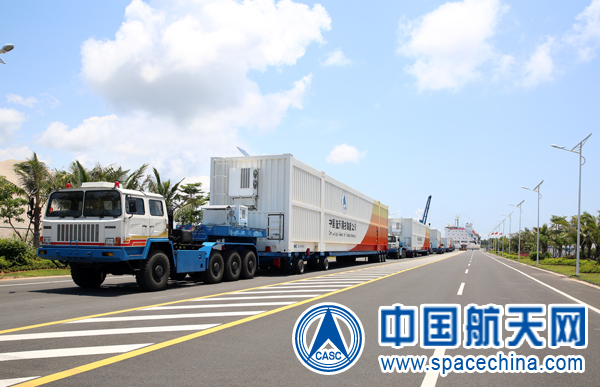 The shipment arrived at Hainan on May 14, according to China Aerospace Science and Technology Corp., the Chinese space program’s government-owned prime contractor. China is developing a new fleet of launchers to replace its antiquated Long March rockets, which burn a toxic mixture of hydrazine and nitrogen tetroxide propellants. The new rockets consume kerosene and liquid oxygen, a more environmentally friendly combination. Flights from the Hainan spaceport, named the Wenchang Satellite Launch Center, will drop spent rocket stages over the ocean instead of on land. Built between 2009 and 2014, the launch center sits at 19 degrees north latitude, closer to the equator than any other Chinese rocket base, giving China better access to place satellites in geostationary orbit. China also plans to use the new spaceport for interplanetary missions, including the Chang’e 5 robotic lunar probe, which aims to return samples from the moon as soon as next year. The country’s other launch centers will continue to be the starting points for human spaceflight missions and polar-orbiting satellites. 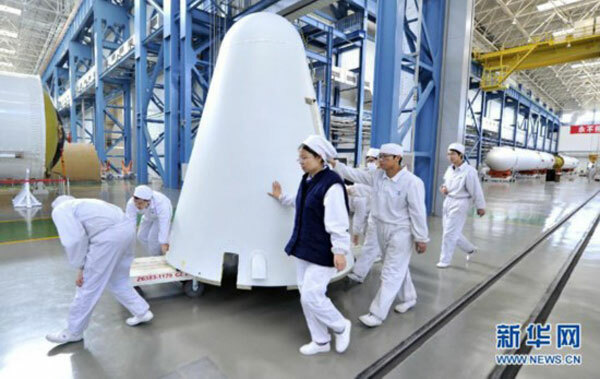 With the first Long March 7 rocket delivered to its launch base, technicians plan to complete assembly and testing of the rocket ahead of its late June liftoff. Chinese officials said the rocket hardware and ground facilities are in good condition, and everything is on schedule for the Long March 7’s maiden flight next month. Research and development tasks on the medium-class rocket are complete, and engineers successfully put a full-scale model of the Long March 7 through a mock launch campaign at Wenchang last year. Hotfire tests of the Long March 7’s engines are also complete. The 53-meter (174-foot-tall) rocket carries four liquid-fueled strap-on boosters, each powered by a single kerosene-fed YF-100 engine. The Long March 7’s first stage is propelled by two of the YF-100 powerplants, each producing about 270,000 pounds of thrust at sea level. Collectively, the engines will give the rocket more than 1.6 million pounds of thrust at liftoff. The Long March 7 also features self-monitoring computers and waterproofed components to withstand the wet, tropical conditions at the Wengchang launch base. China’s existing spaceports are located in drier climates. The main objective of the Long March 7’s first flight is to fully verify the rocket’s design, confirm its performance, and conduct research and space technology tests, according to China Aerospace Science and Technology Corp. or CASC. The mission will also test a “reduced scale” re-entry vehicle for a future Chinese crew capsule, Xinhua reported in March. 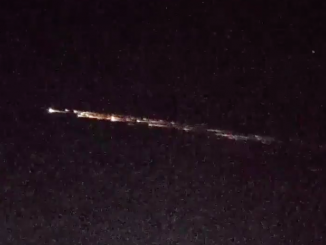 Chinese officials say the Long March 7 can place up to 13.5 metric tons (nearly 30,000 pounds) into low Earth orbit, and 5.5 metric tons (about 12,100 pounds) into a sun-synchronous polar orbit up to 700 kilometers (435 miles) in altitude. 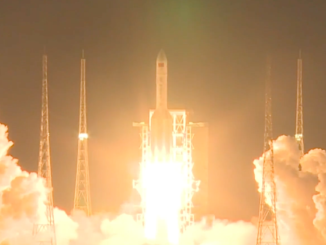 This could be a banner year for China’s space program, with the debut of the Wenchang space center and the Long March 7 planned in June, followed by the maiden flight of the heavy-lift Long March 5 launcher from Wenchang before the end of 2016. The Long March 5 rocket will loft up to 25 metric tons, or 55,000 pounds, to low Earth orbit, enough to place heavy modules in orbit for China’s planned space station. The heavy-lifter can put up to 14 metric tons, or nearly 31,000 pounds, into geostationary transfer orbit, the destination favored by most communications satellites. That is roughly equivalent to the capacity of United Launch Alliance’s Delta 4-Heavy rocket, and two-and-a-half times China’s current lift capability. China plans to replace its current outdated rockets — based on decades-old designs — with a new fleet of Long March 5, 6 and 7 boosters. The Long March 6 is the smallest of the bunch, capable of catapulting small satellites into low-altitude orbits. It successfully flew for the first time in September 2015, demonstrating the YF-100 engine during a real launch. China’s next-generation human-tended space lab is set for launch in September, followed in October by the liftoff of the country’s first astronaut mission since 2013. The two-person crew aboard the Shenzhou 11 spacecraft will visit the newly-launched Tiangong 2 laboratory and stay in orbit for 30 days, China’s longest-duration space mission to date. Tiangong 2 will receive China’s first automated Tianzhou space station supply ship, which will deliver cargo and fuel, filling the role of Russia’s Progress freighter. The Tianzhou cargo ships will be regular payloads on Long March 7 rockets to service China’s space station, an orbiting research lab planned for completion around 2020.